New York City is one of the most densely populated cities in the world making the restaurant industry vast and often confusing for those visiting the city! Left with endless choices, one can get frustrated trying to make a decision of where to eat when visiting New York City! With the help of some friends, I have put together a list of options at varying price points to help you get started. I hope you will enjoy eating at some of these places as much as I have. Let’s be real– New York City is not a cheap destination. Unless you bring your own food from home or pack sandwiches for the day, you’re going to spend a little more on food than you might normally. In case you’re not wanting to spend too much, here a few options for something delicious but on the lower end of the price scale! 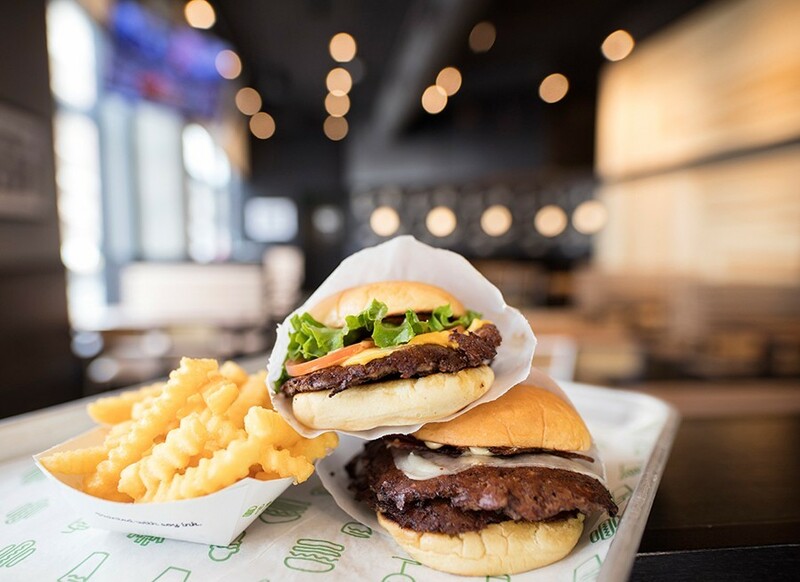 If burgers, fries and milkshakes are your thing–look no further than Shake Shack. I love a good milkshake (McDonald’s does not count!) and Shake Shack’s was amazing. Not only is the food delicious, but the price won’t break the bank with a burger, fries and a shake running for approximately $14. Of course, if you don’t want a shake, they offer many other drink options while also keeping a large water jug and cups on a counter for those not wanting to buy a drink at all. Shake Shack has multiple locations in New York City including one near Times Square and one at the entrance to the Brooklyn Bridge Park (my personal favourite!). Los Tacos No. 1 was created by three friends from Mexico and California. They brought their fresh, unique family recipes to the east and have been wowing customers ever since! The best way to enjoy Los Tacos is to walk the High Line and end up at Chelsea Market. It is a foodie heaven and is featured often on the Food Network. Featuring 40 vendors, Dekalb Market Hall truly allows you to fully immerse yourself in the diverse culture of Brooklyn, New York. From bagels to sushi to barbeque, there is literally no way you’ll leave hungry! The hall is open seven days a week and also features live local entertainment. What’s a visit to New York City without eating pizza? Grimaldi’s is a family run business that began in 1990 with their first pizzeria opening under the Brooklyn Bridge. Since then they have expanded to include locations in Manhatten, Coney Island and Queens as well as over 40 restaurants all over the United States. Grimaldi’s Pizza is known for using coal brick ovens to cook their pizza. Their menu also allows the customer to have complete control over making their own topping choices if they want. A personal pizza will average around $20 depending on the number of toppings you choose. For the experience of New York City pizza cooked in an oven you can see, it’s definitely worth the price! 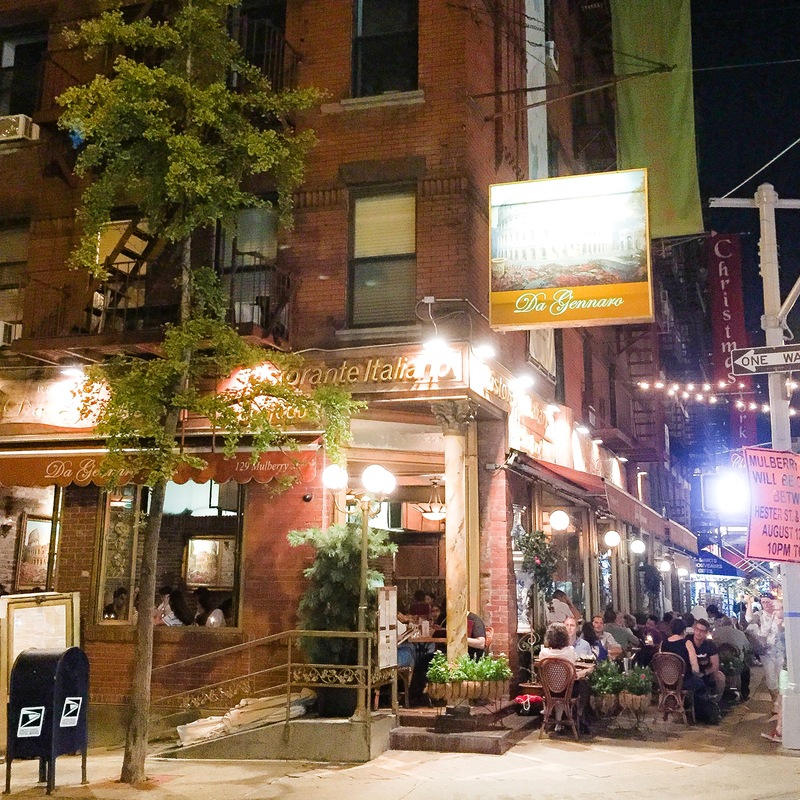 Aita is an Italian restaurant located in the Clinton Hill area of Brooklyn. It is known for their local and seasonal ingredients often coming from farms and green markets. The space is cozy and inviting with long tables perfect for larger groups. The portions aren’t huge, but their pasta is so delicious and filling you won’t need a single bite more than you’re given. There aren’t a lot of tables, so call ahead or put your name in and wait at the Starbucks across the street. The hostesses are happy to text you when your table is ready! After finishing the New York City half marathon, we showered, changed and then decided that walking across the Brooklyn Bridge was a wise decision. We walked from Manhattan over the bridge into Brooklyn with no clear dinner spot chosen. Michael, one of the guys in our group, found a yelp review for Henry’s End which was close to where we were, so we headed over. The first thing I noticed when I entered was how intimate the restaurant was. I instantly felt like I was in a special place where everyone who ate there became family. The menu includes a lot of meat, including venison, elk and other game meat which makes Henry’s End even more unique. A bonus for me was the service. Our server was eager to help with suggestions and also was willing to divide the bill individually which doesn’t happen at a large percentage of New York City restaurants. Henry’s End is a treat to visit and will leave you wanting to return. Da Gennaro is located in the heart of Little Italy and is open all day for whatever meal you’re wanting to enjoy. The decor will almost make you feel like you’re in Italy and if the weather is nice, you can also sit outside and take in the surroundings while you eat. You cannot go wrong with anything you order here, but the Eggplant Parmesan definitely tops the list of delicious options. If you’re not too full, be sure to finish your meal with an authentic cannoli. How can I not include a restaurant that does chocolate the way chocolate deserves to be done?! While at first glance the menu at Max Brenner doesn’t seem to be too expensive ($15 for a meal size salad), once you start adding yummy drinks and dessert the price will start to climb. Max Brenner has chocolate everything and their menu is extensive. If you can’t make a decision, you absolutely cannot go wrong with their fondue for two ($25). It includes their chocolate cheesecake crepe, after party waffle, milk and white chocolate barks, chocolate sponge cake, strawberries, and marshmallows. Served with your choice of two chocolates (milk, dark, white). Max Brenner is located in beautiful Union Square so pick up a treat in their chocolate shop and spend some time enjoying the outdoors before you head to your next adventure! Whether you’ve been to New York a hundred times or once, it is a city full of new places to explore and new foods to enjoy! Let me know if you’ve eaten at any of these spots or share some of your favourites in the comments below. I love to hear what you are enjoying, too!